There is a new exhibit at the Palace of the Legion of Honor in San Francisco called ‘Pulp Fashion’. It began in early February and runs until June 5. The show includes works of art by Belgian artist Isabelle de Borchgrave. She is a trained painter from Centre des Arts Décoratifs and the Royal Academy of Fine Arts in Brussels, but textile arts is her cherished minion. There are two explanations as to what sets her work apart from other fashion designers: 1.) paper her choice of textile, and 2.) the story of her curiosity. De Borchgrave, gowns and costumes are beautifully crafted together and displayed with much splendor and intricate detail. She, along with other designers manipulate paper – crumpling, braiding, painting… – to transform costumes and dresses that are seen in old European paintings from centuries ago. This idea came about 17 years ago when Isabelle de Borchgrave wondered what the clothing from paintings she had seen looked like in real life. What a simple thought to ponder.. 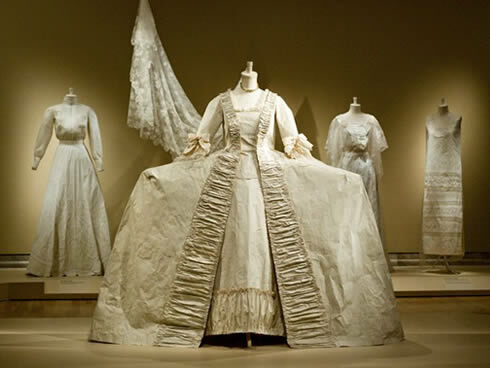 Described by museums curator Jill D’Alessandro, her work is “a bit of a history lesson but shown through a magical, playful eye.” Look her up, her sculptural garments are one of a kind. Of course, this is definitely one showcase I would like to attend. I never once thought about what those gowns so rich in detail and color looked like from behind, nor the texture or depth of the skirt. You can read more about Isabelle and her work from the article I read when I first learned of the exhibit, or see more of her work on the Legion of Honor webpage. You can also click the image above to see more. 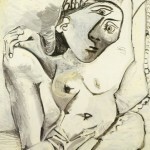 Now, what would the art of Pablo Picasso look like in 3D? hehe..
FYI. Anyone who banks with Bank of America has free general admission access to participating museums, zoos, science centers, etc through the Museums on Us program. Check out the link for more details, and find museums near you.. This is as simple as owning the right debit card. Just present your card on any first weekend of each month. I’m looking forward to taking advantage of this deal next April for the ‘Pulp Fashion’ exhibit. I do not know about other special perks with the other major banks, please share if there are any. Call us boring and simple-minded, but before we saw the work of street artist Joshua Allen Harris we never once considered the artistic possibilities of subway exhaust. Using only tape and garbage bags, Harris creates giant inflatable animals that become animated when fastened to a sidewalk grate… – NewYorkMagazine July 22, 2008. A bit old, yet original and I do not believe many people have seen this. So how creative is that? Turning everyday ordinary into something fun and artistic. Sometimes I wish my brain was able to think that far outside of the box. Kudos to him. Yippee. This past week has been quite eventful, with the opening of my shop being the biggest affair. One resolution down and two more to go! If you are interested, the other two are: 1. saving for a trip to Hawaii, 2. eating fewer sweets and exercising on my days off. I can tell this is going to be a rough road just given the fact I ate a burrito and half a chocolate muffin for lunch. tehehe. I believe half the reasons for resolutions are just to say you tried. ^_^ Plenty of more things need to be done before I can call myself a true organized seller. Who thought this would be so exhausting to the brain. I need a notebook with me everywhere I go because something new always comes up that my business must have. And ideas are starting to flood outside my head because my brain is crammed. These hands do not write fast enough. oiee. I’ve been so excited and motivated to create I have gone out to about four different stores for arts and crafts supply in the past week. My shopping bag included a new organization container, buttons, thread, socks, paper, ink, stamps and beads. Lucky for me, two of my stops consisted of merchandise being half price. Score! There is this wonderful art store in San Francisco called Flax. This is a bit ironic to me, because I hate flax. My boyfriend continues to buy the wheat bread with flax, ugh. Anyways, it really does inspire anyone to be creative and there is so much to look at. What ever type of art you are into, you are sure to find the supplies here. The best part is the knowledgeable staff. On our visit here, I bought a small bag of assorted paper and some new ink along with a couple of stamps. My hope is to include different designs of paper and stamps into some of my future watercoloring projects. (Check out the Valentine’s Day card I made for my Cabbage) Of course, I want to get these printed professionally onto some note cards to sell at my shop The search continues; I would be so thankful if anyone has any recommendations for printing services. I am looking for matte prints that include post consumer content. Until I find these services, my shop will most likely only include sewn items. Don’t you just love being reminded of forgotten memories? On a weekend trip to the beach we stopped at Harbor Bookstore & Gallery just outside of Half Moon Bay. There is some very nice eye candy here. 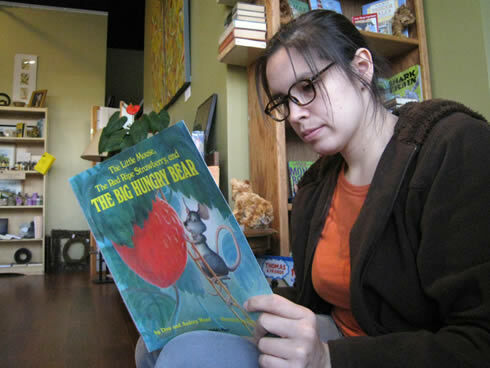 Aside from books this cozy little shop is filled with eclectic makings from local artists. But for some reason this day, I found myself looking in the children’s book section. I spotted an old story I had forgotten. As a child I had to have read it over a dozen times; it was one of my faves. hmm… I think I want to make a children’s book. Tell me, what book/s did you read as a child? 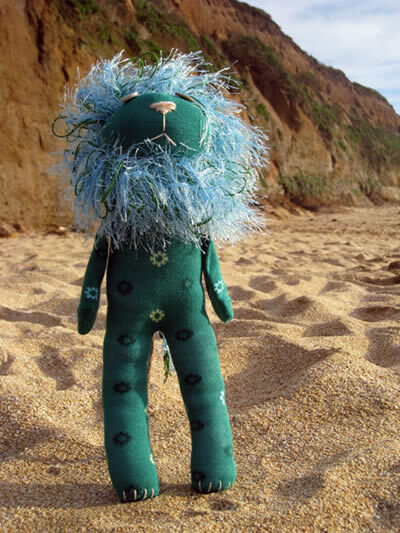 A note about the shop: After a couple of lasik eye surgeries and a nose job, two sock lions were born yesterday. Both are for sell in the shop. 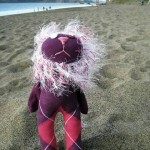 Only the purple sock lion was able to produce a fun photo, due to time constraints and the cold windy weather near the Golden Gate Bridge. I really adore the brown one though. I seem to be falling in love more with the male lions. hrm. Oh yeah, I updated the About Me section. It was pretty raw, now it may be too long? o_O I ramble sometimes. That is what college does to you when a report is required so many pages long and research doesn’t seem to help and you are left with your imagination and adjectives. As it is this weekend that I am launching my website to the world (meaning I can actually be searched for via Google..), I figured I needed to make a proper introduction as to who I am, what I am doing, and why. My name is Angela Hummingbird, hence the name of the website. How clever is that? I am currently posted in northern California, just minutes from San Francisco. I’ve been here almost two years now. My true home lies in the midwest where stars are plenty, swimming in your clothes is normal, and Bigfoot is often seen and/or heard. I have a degree in Business Administration from a tribal university in Kansas. Oh yes, I am Native American. There is a significant other, whom I call Cabbage. No kids here, but today I was told I was too young to have kids (true story). I guess there is no point there to be made. Now I could definitely go on and on rambling here, but I will just say there are many things in my life I want to do, be, experience and see. One day I may be an owner of a trendy restaurant, the next a teacher at a rural school and then maybe an instructor for surfing in Hawaii. I guess you could say I’m a dreamer : ) I heart John Lennon. This very well could end up just being another chapter in my life, but I doubt it. I believe I will forever be creative, even after my hands get arthritis I’ll just use my toes.. My first memory of being introduced to art was when I was being cared for (around the age of 3 or 4) by a high school instructor’s wife, mother of two. It was this instructor who one day gave me a tour of his classroom, sat me down on a chair, drew a rose and then handed me the pencil and paper to give it a go. Til this day, I still draw the rose the same. I’m 25. Growing up I realized I have family from both sides that are artists. And many more members who are just as talented and crafty. So you see, I guess it is in my blood. My childhood years were filled with color inside the lines, in high school I learned to sew on my own without a machine, and since then I’ve been experimenting with different art medias. Mainly, because I get bored or I see something I want and figure it is cheaper for me to make than buy. So this blog and the rest of this website is about the art in my life: the art I create, the art I adore, the art that blows my mind, and the art that gives me fuzzies inside. After some period of time you may notice I do not favor one medium over another. I just move on to some other form when I get bored, and sometimes go back to it. Right now I am sewing, still pretty much in the experimenting stages. And on the side, I do a little bit of watercoloring. Cute story: I first started watercoloring when I met my boyfriend. aww!! Anyways, I am doing this because, why not make money off something you love doing? Somebody is getting new eyes..
All I know is, I want to be on that train and I don’t care where it is going. Who is up for some European traveling? Bring the band too. 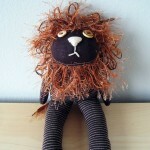 I made this sock lion extra special for my friend who lives in St. Louis. She is currently fighting a battle against cancer (Paraganglioma and Pheochromocytoma). Jorie has been an inspiration to me, as she continues to live her life filled with lots of laughs and plenty humor. She is a very smart woman, also strong and loving. This situation seems completely unfair, but as we all know cancer does not discriminate. Be thankful for the day you have. Read up on her story, as you or someone you know may be able to relate to some of the hardships one faces during a time like this. A sculpture that walks? Yes way! 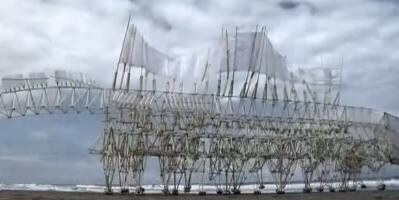 Umerus 2009 from Strandbeest on Vimeo. The creator of this magnificent artwork is Theo Jensen. He is a Dutch artist and kinetic sculptor. His humongous works of art resemble an animal’s skeleton, which are able to walk by using the wind on beaches of the Netherlands. If you enjoyed that one, check out the Rhinoceros! Rhinoceros from Strandbeest on Vimeo. 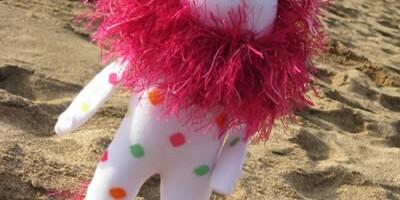 I’ve been pretty busy this past week – beaches, sewing, Valentine gifts.. The weather here has been amazing! So I have spent some time at the beach. We got three or four days in a row with 70 degree temperatures. It was nice! As for my friends and family in the midwest, they are enjoying (or hating!!) the tons of snowfall they have received as of late. The temperature and amount of snow may be record breaking for them. While I am building sand castles, my little sister was building a snowman! hehe. My poor sister, she won’t have a summer break because it will begin in July and end in August. Of course I am exaggerating, but still! She has had more snow days in the past two weeks than I ever had my whole life going to school. Oiee. 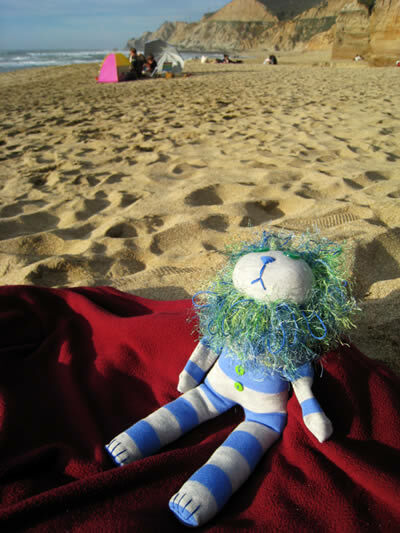 On one of my beach trips, I took along some sock lion friends. This was their photo opp. I’m hoping to use these images in the shop whenever I get that going. Could be soon! 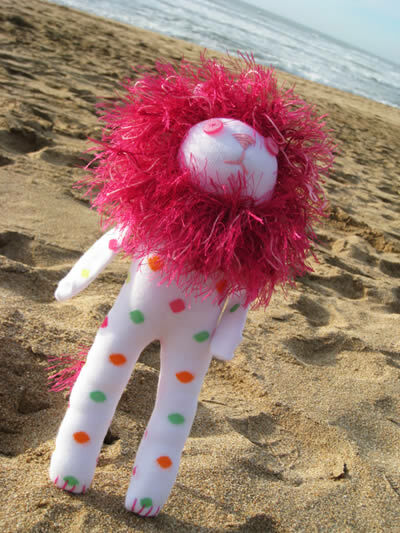 Dottie Lion enjoying the waves! 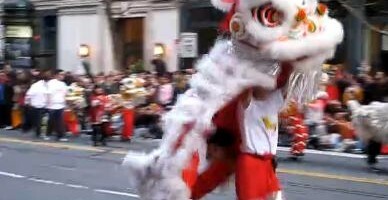 To add onto yesterday’s post about the Chinese New Year, I just have to add this video from last year’s Chinese New Year Parade in San Francisco. Today’s Friday video was taken by my boyfriend, Brian. Best of luck to you in this year’s, Year of the Rabbit! Louie Gong is definitely one of my favorite artists to follow today. In honor of this Chinese new year, he handcrafted these one of kind kicks in his custom Coast Salish art style. 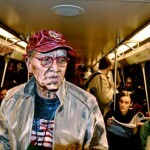 Louie Gong is a multi-cultural (Nooksack, Squamish, Chinese, French, Scottish) artist who resides in Seattle, Washington. He is influenced by his mixed heritage, and is profusely involved with his community. He gives numerous but very intriguing speeches about racial identity to students and at conferences. Louie Gong is more than just an artist, he is also an activist.. Primarily, Louie’s artwork can be found on a pair of Vans. Personally, the killer whale design is my fave. Check him out, this guy has a good story to tell, likewise original art/designs to sell. Paysage sous bois a Pontoise, 1875. Oil on canvas. 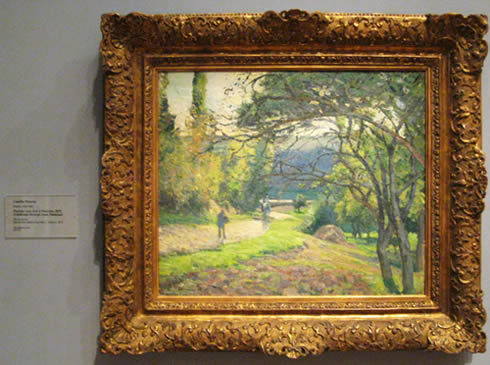 Camille Pissarro (Fr., 1830-1903) Taken while visiting the Legion of Honor in SF, March 2010. It has been quite mind boggling as to how I want to set up shop, as well as my personal website. There are so many little things that need attention, such as: do I even need a home page [?? ], shop policies, as well as all the calculations needed about the costs to make a product/ship/paypal fee/service fee.. Everything right now is a little sketchy, included my posts but I promise it will get much better as time goes by. Working retail part-time has given me such crazy hours, therefore I have dedicated my time working on my website/blog/shop at an inconvenient time 11pm, usually as I am getting tired. Progress happens in baby steps. Right now, my focus is just making the layout look somewhat engaging and useful. All the flaws will be hidden behind a curtain and for my eyes only. It is funny what one forgets. I had always joked around with my boyfriend about how some artists could basically throw some paint on a canvas and call it art, then jack the price up just because they have made a name of theirselves. Or maybe they thought just because they had an art degree, this gave them the right to up the price. I, myself have always said you do not need to take classes to shoot photography, or draw a tree. Like science, art is found in everyone and everywhere. Remember the macaroni necklace you made for your mum in preschool? 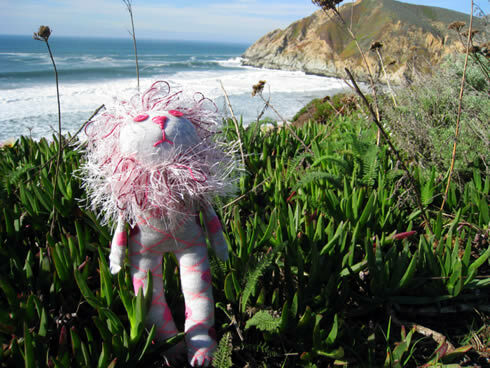 ..Now, that quote really got me to thinking about my little sock lions I have been sewing every chance I get. 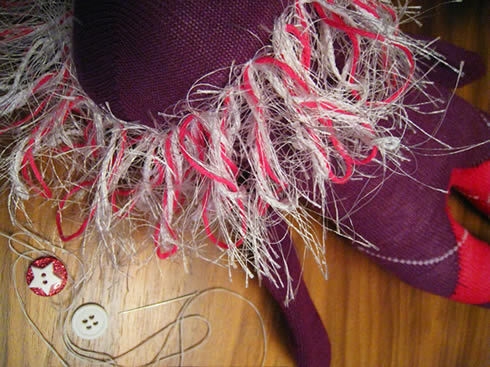 How much am I going to sell them for, has been lingering in the back of my mind as I sew. Never was I fully putting my whole heart and soul in the creation. Same as for painting, I would worry about it being ‘perfect’, and would the recipient like it? In no way did I tell myself, “this is me, and this is MY art.” I’ve been too busy trying to please these thoughts, rather than my own creative feelings and desires. It is time to quit being hypocritical and make art simply because I love doing it. Note: This may sound cheesy, but I am so thankful for my techie boyfriend. 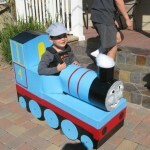 You have no idea how difficult and time consuming it was to get this post looking just right..